Our fire hydrant markers, driveway markers, traffic Signage and safety products!  Hydrant markers, reflective clothing, traffic safety supplies & more! Styles from raised to solar! 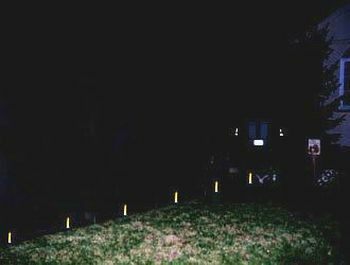 Hy-Viz is pleased to introduce, Night Spikes for your with Driveway, Sidewalk & Obstacle marking! or just to highlight your yard, work area, danger areas, pond outlines anywhere! "Super- Sized" 6-inch banding shown! One Three Inch wide Highly Reflective band in your choice of colors! 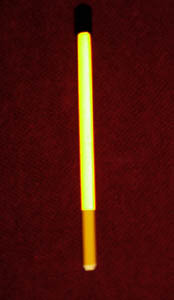 Foot long spike with a SIX inch reflective band! The same quality bands that we use in our hydrant markers! ...we can even mix and match colors! Shop Online now on our secure server! don't want higher driveway markers. Email us with your color choices & quantities today! Hy-Viz Inc. -Women owned, Family Run--We care! We stand by our products; we strive to use the highest quality materials and assembly procedures. We are, however, NOT responsible for misuse or vandalism of our products. obligation shall be to repair such quantity of the product found to be defective for a limited time, depending on product. Before using and installing, purchaser and/or user shall determine the suitability of the product for its intended use, including, but not limited to: location, height, any safety issues, and secure installation of the product.It is the sole responsibility of the customer to check all local, state, federal and corporate regulations regarding the suitability, legality and/or safe use of any product purchased from User and or purchaser also agrees to maintain products after installation. User and or purchaser assumes all risk and liability whatsoever in connection therewith. Neither manufacturer nor seller shall be liable either in tort or in contract for any injury, loss or damage, direct, indirect, incidental, or consequential; arising out of the use, misuse, vandalism, or inability to use the product.